From time to time we come across street poetry. Found poetry. 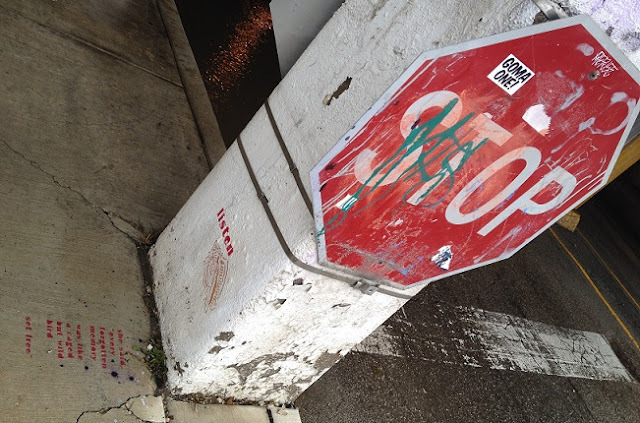 We have found it in Florence, Italy, on the streets of New York City during Occupy Wall Street and, now, in the Pilsen neighborhood of Chicago. 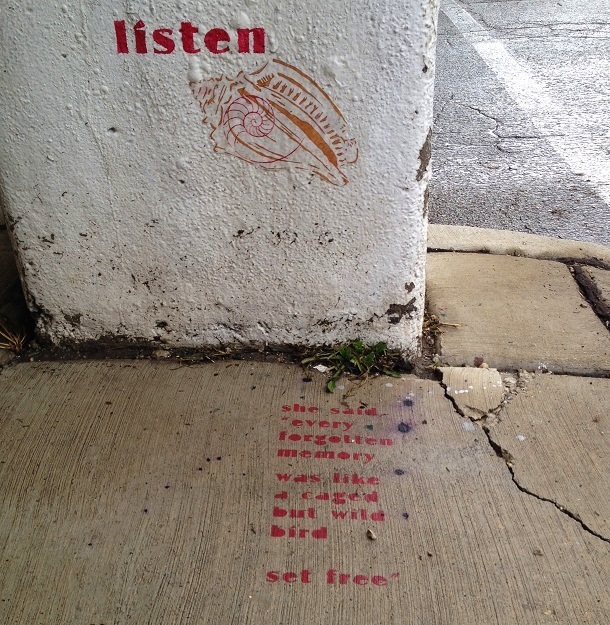 Listen was discovered on a pillar of an underpass at the corner of West 16th Street and South Morgan. The author, at this time is unknown to us. If you are — or know — the author of this poem please drop us a line. Wonderful words - I hope you find the author.